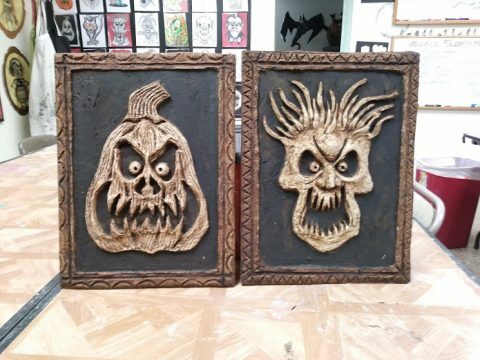 A little different offering in the studio this month, these Clay Pumpkin Reliefs are 16″ x 20″ “sculptures” on a wood canvas. 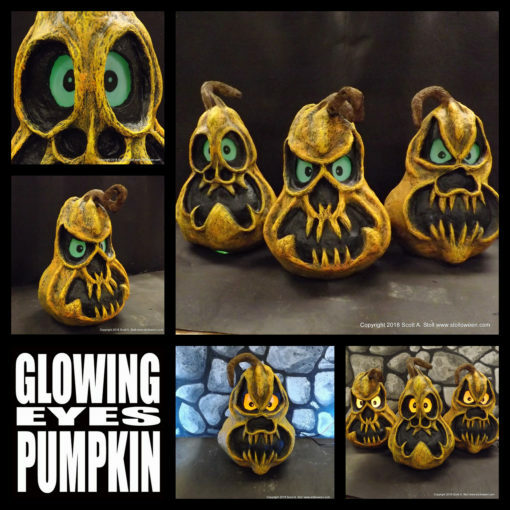 This is an quick workshop only requiring two sessions, the first session you design and “sculpt” your pumpkin and the following session you colorize your piece using either paint or ink. 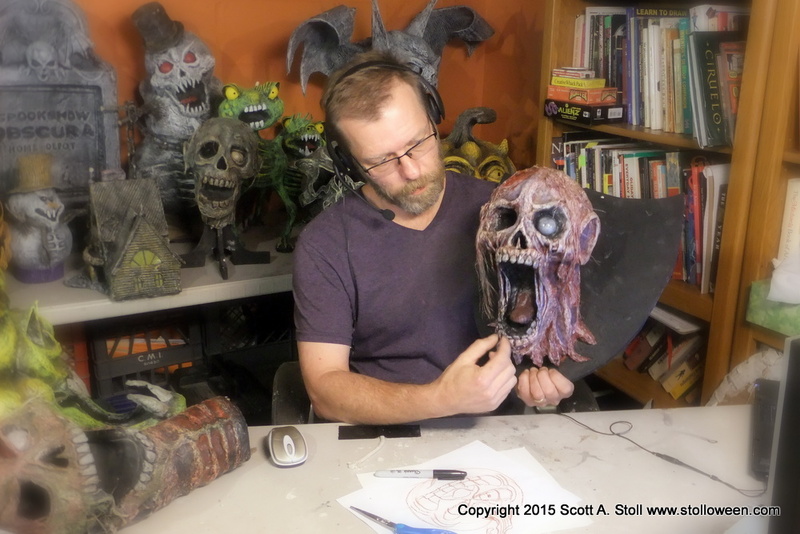 This workshop requires no hot glue work or strip mache work, it is all about design and working with clay. 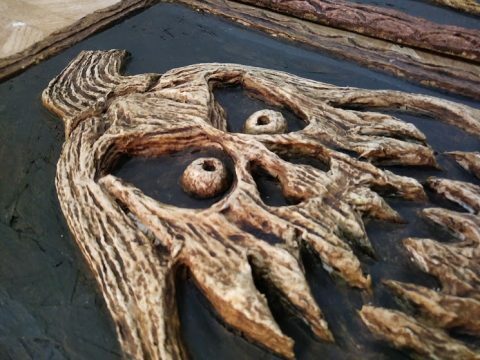 The process has been broken down into very simple steps allowing even those without strong artistic abilities to create an impressive wall hanging. 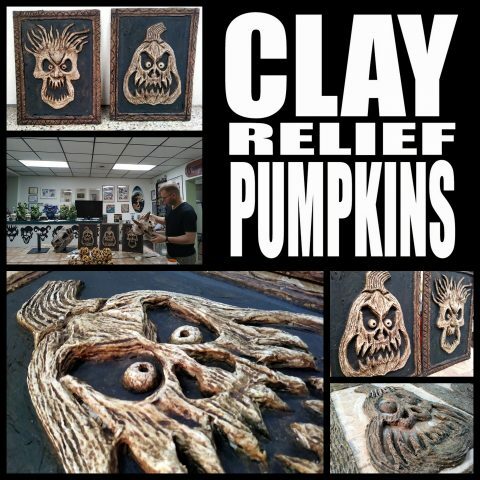 The techniques can be used to create any style of relief but for this workshop the entire class will focus on making pumpkins. Workshops start at the specified time with the studio opening 15 minutes prior if you wish to get situated and socialize. Feel free to bring a drink and a snack, the studio will provide coffee, tea and hot chocolate. 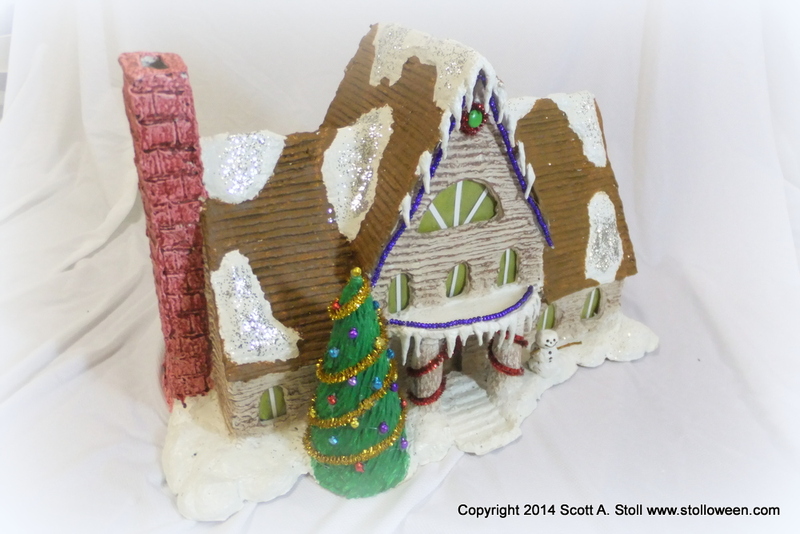 The cost is $50.00 per person which includes a total of 6 hours of studio time plus all materials. 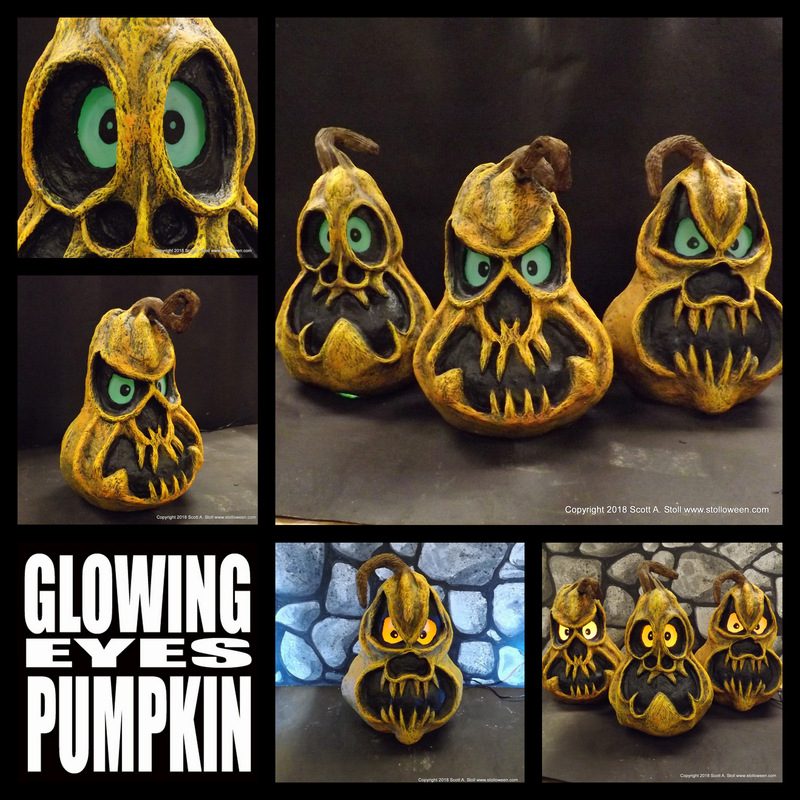 If you would like to sign up for a workshop please send an email to stolloween@gmail.com with the name of the workshop in the subject line. Class size is limited to 10 seats. **We have implemented a new policy for anyone taking multiple classes throughout the 2018 season. The first class is full price, any additional classes taken during 2018 will be 20% off the listed price.